I joined the Labour Party over a year ago. I joined as I understood that we were the best force for constructive change in the country. I joined precisely a week after our defeat in one of the most volatile general elections in generations. When I joined, the contenders to become the next leader were becoming clearer day by day. In the end, we had four different candidates each with a radical plan to deliver change in the country. I was originally persuaded that Andy Burnham was the best person for the job, but after watching the campaign advance for a week or two, I switched my loyalty and decided that I would give Yvette Cooper my first preference vote and give my second preference vote to Liz Kendall. After watching the opening debate, my decision was final. I was genuinely motivated by both campaigns and both candidates. By early August it became obvious that Jeremy’s campaign had picked up seemingly boundless support, aided in part by the disorder which led to mass abstentions on the government’s Welfare Bill. From this point on I had nearly no doubts that it would be almost impossible to beat Jeremy. Whilst I was concerned about how we would perform in a general election, I was reasonably excited about the future of the party. Even though I deeply suspected it was over for the campaign I supported, I carried on eagerly campaigning, rather idealistically hoping to turn around our fortunes. After Jeremy started leading in the polls, there was only one point at which I believed we could win again. That was at the last leadership debate. Like the others before it, Jeremy's performance was rather lukewarm, but something had hugely changed: both Yvette and Liz came out as champions! They each put forward a strong and credible case. More importantly, they looked ready to lead the party to victory, heal our divisions, and return us to power. Jeremy and Andy did not. We knew that about a third of our members still hadn’t voted, and I thought this could’ve tipped the scales on favour of Yvette! That night, I wished that fiery spirit had been seen far sooner from both candidates, I believe Yvette would've stood a far better chance of winning, and Jeremy’s chances would’ve been greatly diminished. When the results were in, I was naturally dismayed that my side had lost, but I was pumped up and ready to give all of my effort to making Jeremy Corbyn’s Labour Party an electable party. Whenever I watched Prime Minister's Questions, I felt he simply was not tough enough, but told myself it’d get better next week. It never did. When we were constantly trailing in the polls, I assured myself we’d do better the next week. Again, we didn’t. When we lost the referendum, I told myself we would’ve lost even if Jeremy hadn’t attempted to sabotage the Remain campaign, but I knew I didn’t believe it. The last straw came when one of our (remarkable) MPs was spoken to in an anti-Semitic manner by a Momentum activist, and Jeremy did nothing about it, but then giggled with the very same person. At that point, I, like many MPs, lost confidence in our leader. I struggled to see a place for myself in a party that I felt increasingly marginalised from. But I knew that we all had to stay, we couldn’t give up and let them win, we all had to stay and fight for what we believe in. We couldn’t simply let disorderly, entryist Trots, who don’t even have the interests of our party in mind, wreck our party. When it became obvious that Angela was going to contest Jeremy for the leadership, I was elated! She has risen to every test she faced in government and in opposition, she has spectacularly served the country as Exchequer Secretary to the Treasury, and I knew she could do it again, this time as Prime Minister! But in addition to this, after over a century of male leaders, it was time for a female leader, and who better to do the job than an openly gay, Northern woman from a working class background? However, the PLP gave Owen Smith more support, and at this critical time for Britain, we need a united opposition. Now, I and many, many more party members have the privilege of campaigning for Owen, and making our party electable again. We have conveyed radical change for our country in the past, and we are unquestionably capable of doing it again, but only with a radical, credible leader. I sincerely hope Jeremy stays to see his future in politics and in the party, but it is now time for us to trounce the Tories and win power once again. It’s time for Owen Smith. This is a nightmare of an article. It shows the vacuous state of the Labour party. No substance just fanboy opinions largely based on what this person wants. Where is the constructive debate the reasoned argument? Well there isn't any. 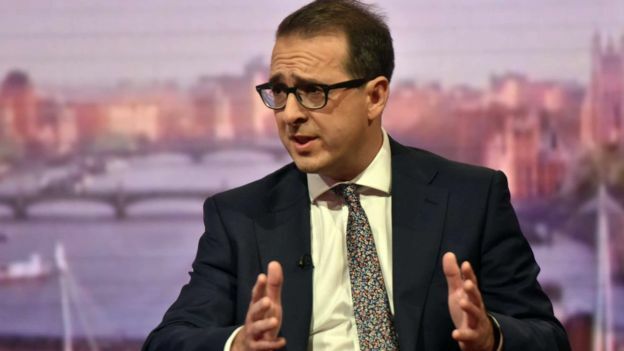 Labour is appealing to a smalll group of disaffected voters, but cant appeal to the middle ground because it cant provide the broader narrative that the wider electorate will want to scrutinise the make an informe decision. Article is an epic fail from a fanboy lightweight.